1. 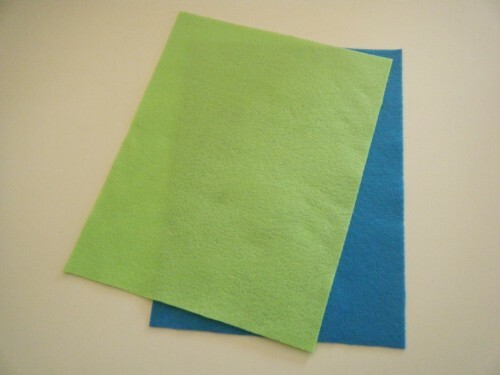 I used two colors of felt. 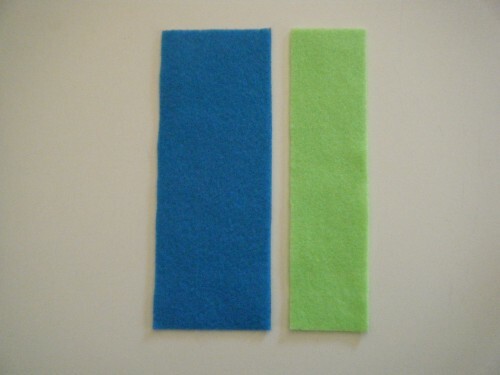 Cut a 6″ x 2-1/4″ strip from one color and a 4″ x 1-1/2″ strip from the other color. I cut my 1-1/2″ strip 2″ shorter than what is pictured below. 2. Fold the strips in half lengthwise and pin the long edge together. 3. Cut a series of slits along the folded side. 4. 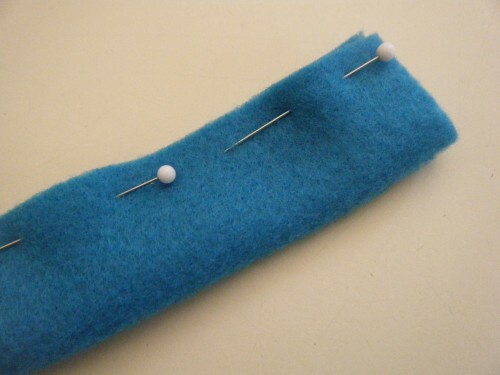 Sew the felt together along the pinned edged, using a running stitch. 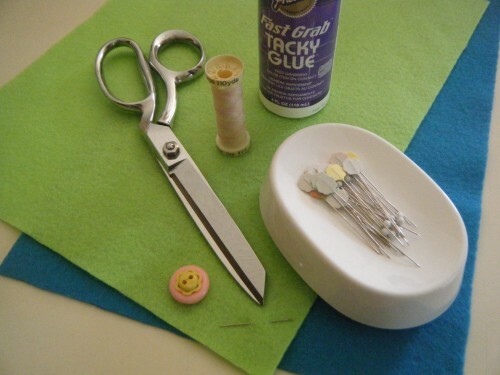 While sewing, pull the thread gently to form a circular shape. 5. 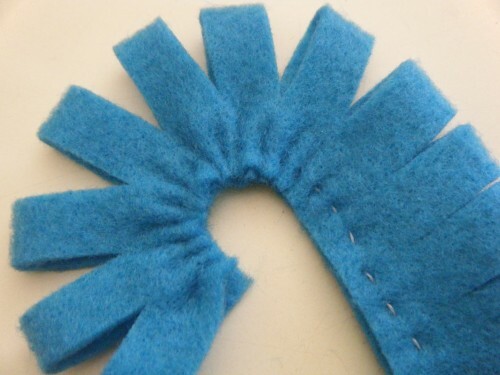 Join the two edges and sew together up to the slits. 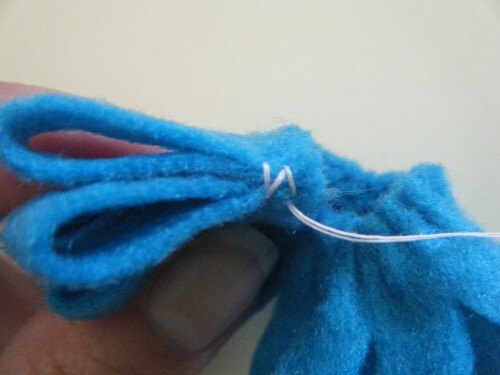 Knot the thread securely. 6. 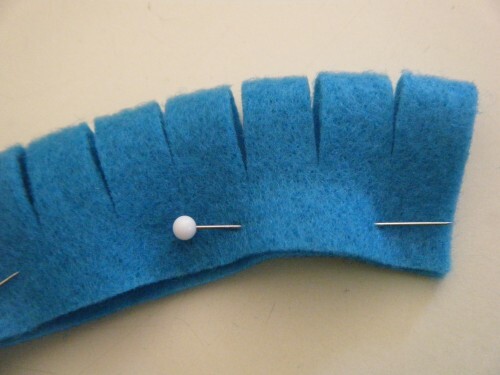 Repeat steps 2-5 with the other felt strip. 7. 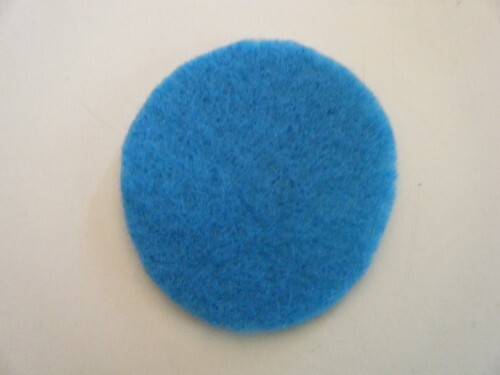 Cut a circle from the felt to finish the back. 8. 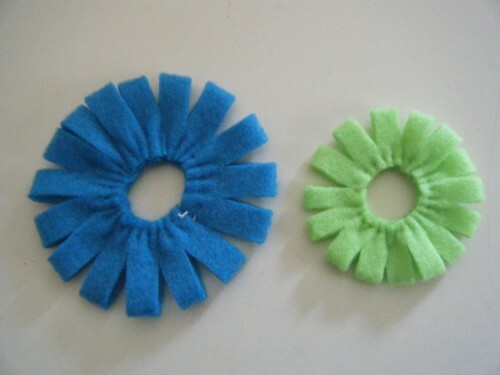 Glue the felt circle to the back of the flower. 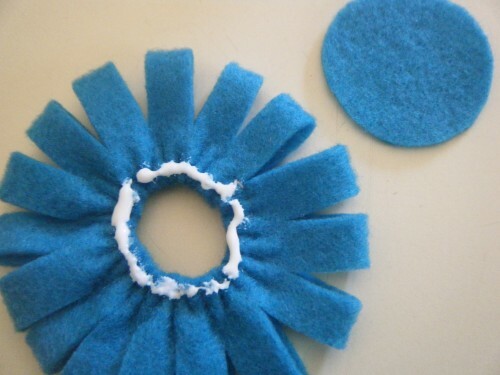 Glue the small flower on top of the large flower and finish it off by gluing a button in the center. 9. 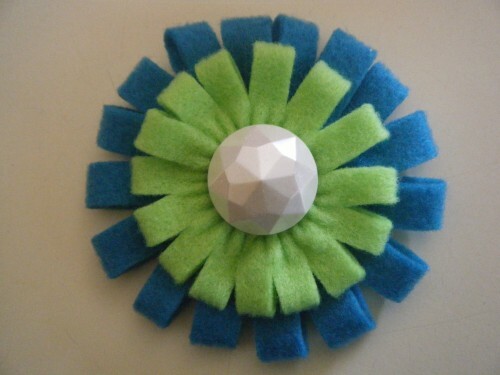 A cute flower to add to your home decor, an outfit or anywhere. Did you notice these films have Greyhound movie stars? 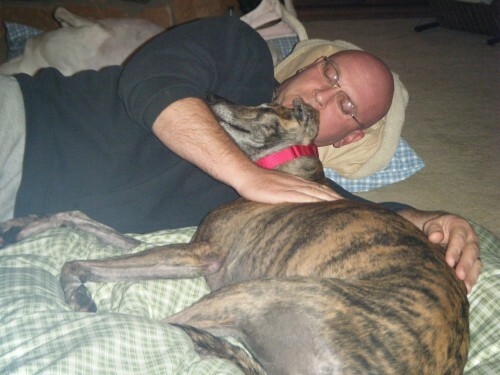 Will takes Skylar to Wonderland Greyhound Park in Revere, Massachusetts and her dog wins! Minnie Driver, who plays Skylar, actually bet on the race and her dog came in first! This was her real reaction to winning! The last live race at Wonderland Greyhound Park was in 2009, and the park closed completely in 2010. 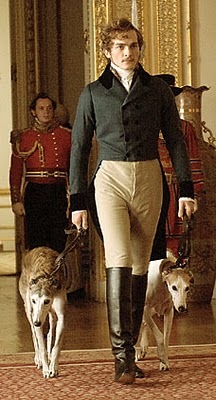 Prince Albert owned Greyhounds. Queen Victoria and Prince Albert were well known for loving their pets and having a large menagerie around them, but the beloved Greyhound, Eos, was Prince Albert’s exclusively. Socialite Joanne Herring (played by Julia Roberts) owned Greyhounds. 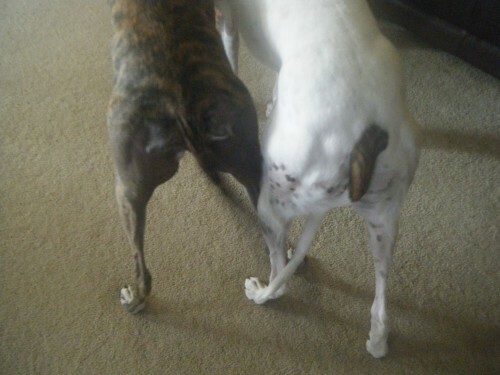 Along with her beautiful Greyhound pets, she has beautiful Greyhound art. The month of August will be “4 Faves – Friends Version.” What are your favorite things? Tell me about them during the month of July and one (or more) of your picks may be chosen as a “favorite” in August. You can let me know what you like in one of three ways…post a comment, email me (whatremainsnow@gmail.com), or let me know on the What Remains Now Facebook page (either by commenting or writing on my wall). Tell me what the item is and why you like it. Want to see what 4 Faves – Friends Version looks like? Check out this post from May. 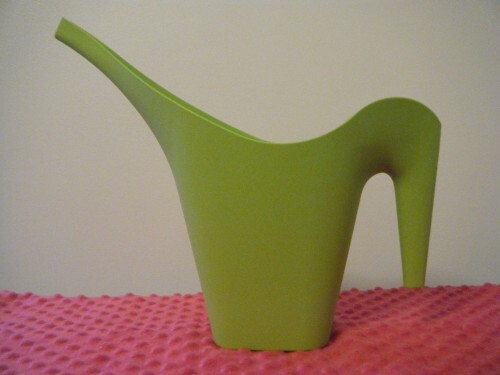 Every year, I purchase a new watering can in search for one I like. I found it! I like the Arrow watering can because it’s completely open, so it’s easy to fill and easy to wipe out. The only caution…since the spout is also open, be careful when you’re watering, because if you water too fast, you’ll get overflow. 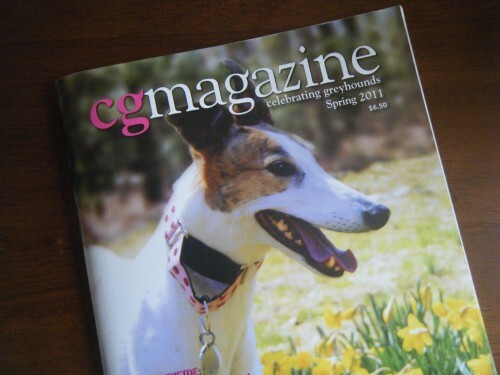 If you love Greyhounds, you’ll love this magazine. 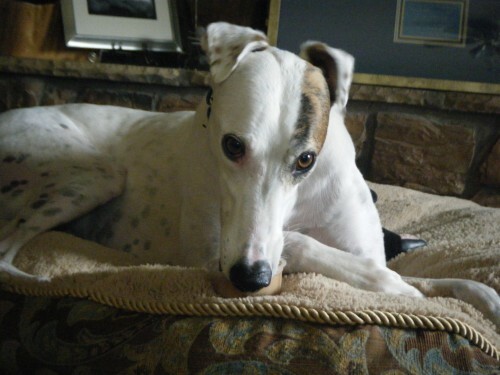 Celebrating Greyhounds is a quarterly magazine devoted to Greyhound adopters, owners and friends. You can see and feel the high quality of this magazine. 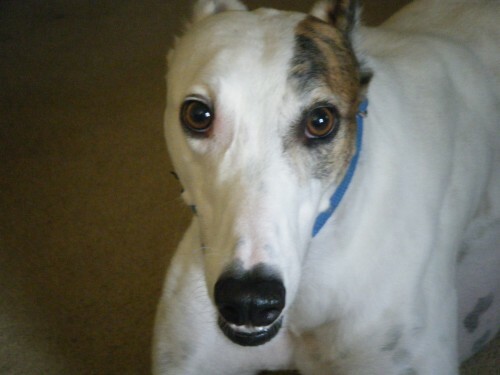 The articles cover a wide variety of topics and interests…health issues, lifestyle, history, humor, adoption information for individuals and groups, human interest stories…everything Greyhound. I love this lip balm’s container. 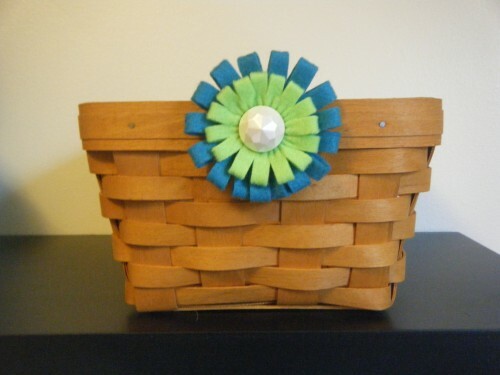 It is perfect for sitting next to your computer at home or work or on your nightstand. Because of its shape, it doesn’t tip over as easy as a tube. It’s so unique! 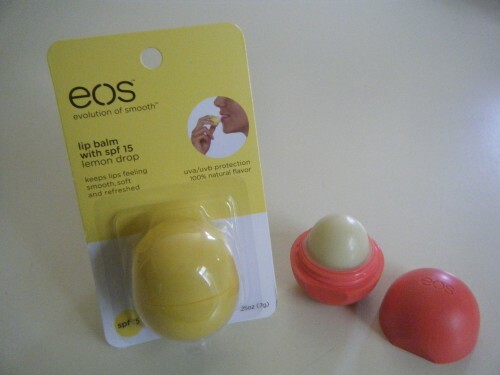 Oh, and the lip balm is really nice too. 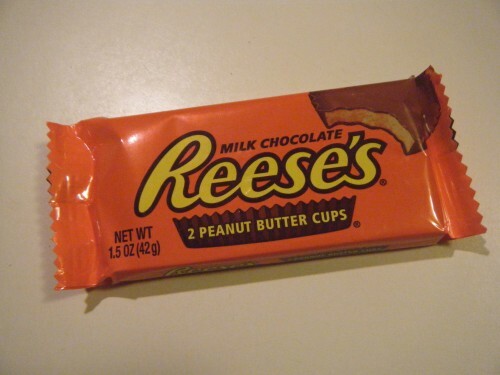 This is my Number #1 favorite candy. This week covers the sixth and final creative commitment in the book Creative Is a Verb by Patti Digh. The sixth creative commitment is, Let Go: Ignore All the Critics. The sections within the chapter are, (1) Write like an orphan, (2) Embrace your clearness committee, (3) Build your own Fallingwater, (4) Circle the ring again, and (5) Don’t export your peaches. Patti talks about how when we are aware of an “audience,” it changes what we create. Throughout the chapter, she gives examples of how we can craft a life and spirit that gives our best to those that matter the most to us and our best, original self to our creative gifts. 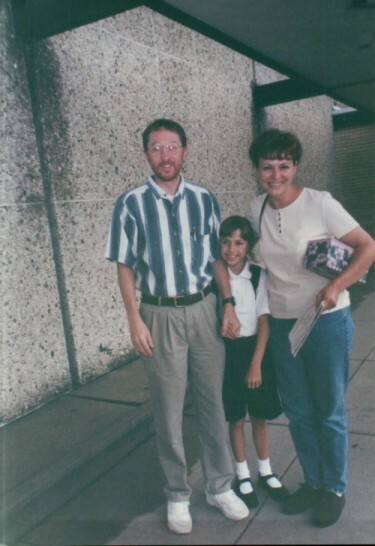 When I was in first grade, our art teacher would come to our classroom a couple times a week. One day, right before Parents’ Night in the fall, our art teacher came in with an awesome project. We were drawing “triangle witches.” The idea was to draw two triangles (points up) one on top of the other. You extend the line of the top triangle to make the witch’s hat, and draw a face, arms and legs on the bottom triangle to create the witch. I was blown away by this project. I loved the concept. We were given a sheet of manila paper, and I set to work on my witches. This was an “important” project because these drawings would hang in the hall on Parents’ Night. I finished my witches but wasn’t satisfied with the plain manila paper background. I had just drawn some seriously awesome witches who needed a more spectacular background. I decided on a purple sky. I knew it was risky because time was almost up, but I vigorously began coloring in the background. TIME IS UP! and I only had about a third of the background colored in. I knew I was in trouble. I got in line to hand in my work. When I gave it to my first grade teacher, she looked at me with disgust and told me that my picture was ugly and that I was stupid for doing that (referring to my spectacular purple sky background). Strange as it may sound, I hid this story all my life and up to a couple months ago, I could still cry and feel a desperate shame when I thought about it. I’m going to be 50 in December! 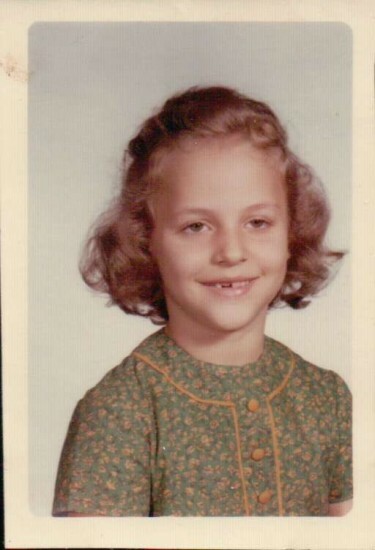 Fact is, my first grade teacher was probably just having a bad day, or maybe she really wasn’t suited to be a teacher but had limited career opportunities. Who knows. Isn’t it amazing that we can let incidents like this control us? That’s all done for me. I would like people to like whatever I do, but it doesn’t matter to me because their opinion and judgment has everything to do with them and barely nothing to do with me. Life is short. I’m doing what I like and giving my best to those that really matter to me. 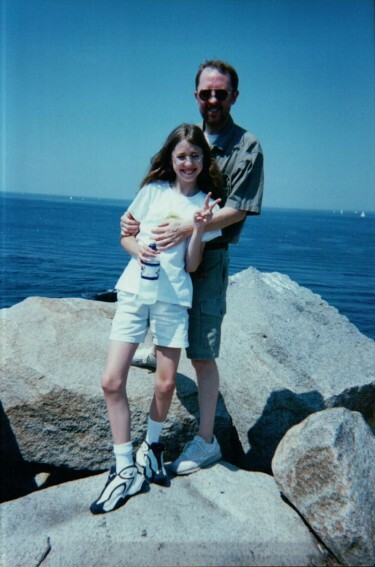 Thursday morning, July 14, my ex-husband and daughter’s father, Jim, died of a massive stroke. It was sudden and has left us stunned. My daughter, Olivia, her boyfriend, Max, and I were with him when his heart finally stopped beating, and he took his final breath. He died too young at 56 years old. My initial sadness was for all the things I wished for him in his life that weren’t to be, but in a way that feels like it negates all the wonderful things that did happen in his life. 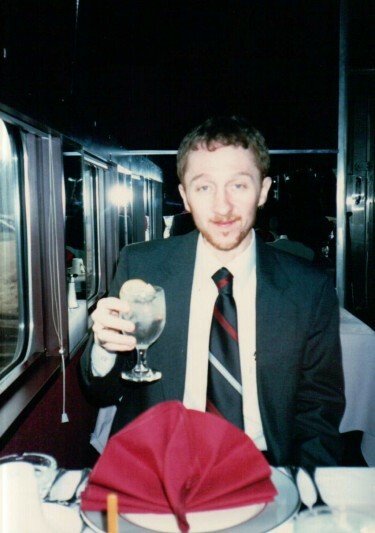 Jim was a great man who lived a full and productive life, and that’s what I want to celebrate and tell you about. 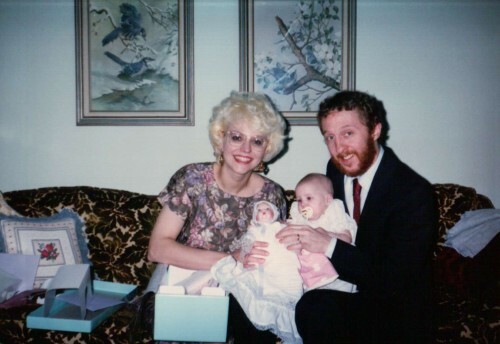 Jim was the wonderful father. 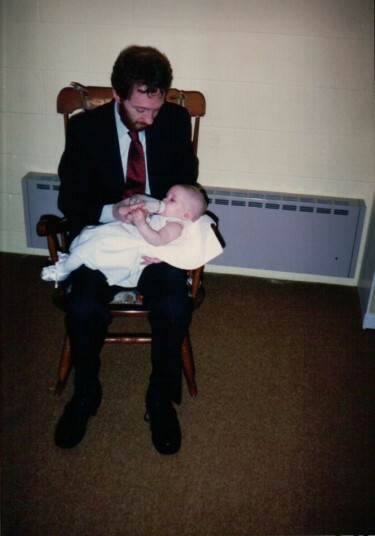 He always saved and gave his best to his daughter. He loved Olivia the best, the most and forever. 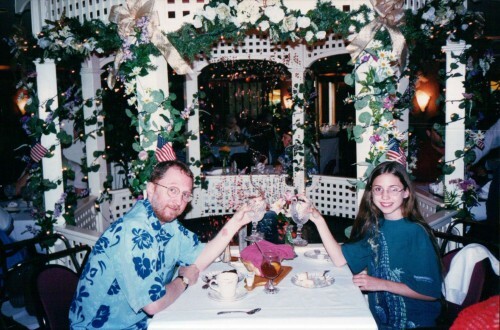 Jim loved Hawaiian shirts. I think they were an expression of his artistic, lighthearted side. 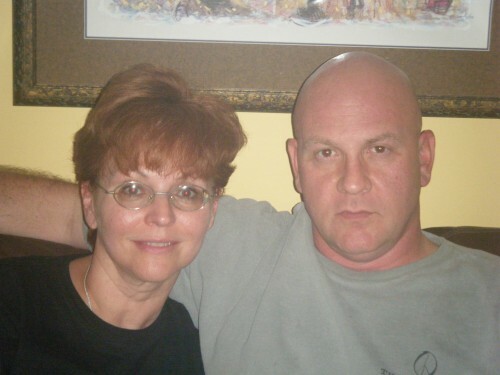 Jim loved music, movies and books. He was naturally inquisitive. He passed on this love of learning to Olivia. Jim was incredibly intelligent. He loved to read about the 1960’s and anything dealing with philosophy. He enjoyed talking and sharing ideas and opinions. 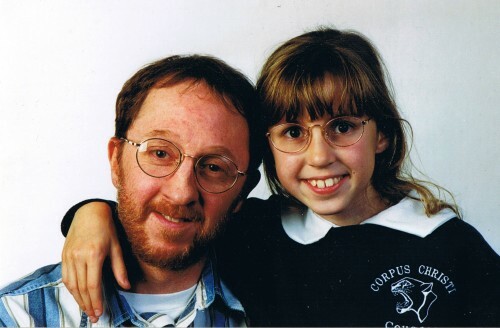 He taught his daughter well how to reason and support her beliefs and opinions. Jim worked his whole life in the food service industry, and he embodied the old-school standards of professionalism and excellent service. He also taught Olivia to respect and value those who provide service to us. Jim was never late to work. He had a strong work ethic. 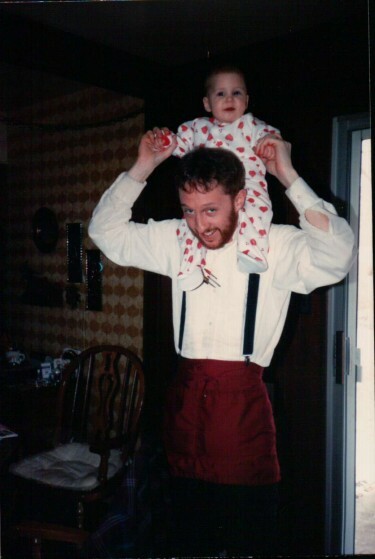 Jim was a friend to me and together we were always able to focus on what was best for our daughter. Jim was a peacemaker and friend to all. 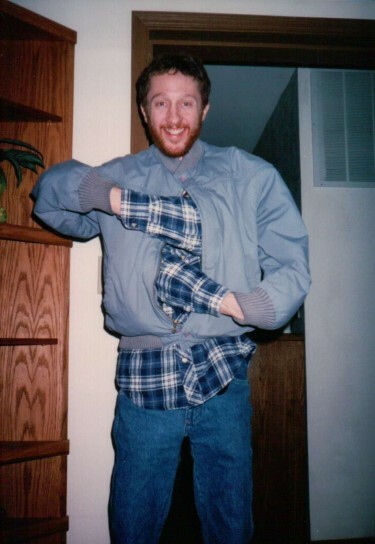 Jim had a great sense of humor and could be a terrific clown. Words are inadequate. There is a lifetime of fullness and depth to match the simplicity of each of these sentences. All I can say is…Farewell, my friend. I can’t capture in writing how you touched everyone you met with your grace and goodness. If the measure of a person is how greatly they will be missed, you were a giant. Thank you for all the blessing you brought to my life. Peace and love go with you, until we meet again. August 2011 – Thank you to all who posted such kind comments. They mean so much. Set in the Belgian Congo of the late nineteenth century, Heart of Darkness is a dark tale of colonialism and barbarity. It is also a deep psychological exploration of the human heart and the darkness it can hold. 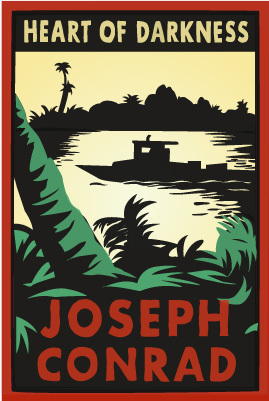 Heart of Darkness is not an easy read, but its breathtaking grasp of the human experience and the thin veneer of civilization leaves me unsettled whenever I visit this story. Published in 1902, it reflects some of Conrad’s actual experience while working briefly in the Belgian Congo in 1890. Adventure on the high seas! Master and Commander tells the tale of Captain Jack Aubrey, a British naval commander who is tasked to pursue and take the French ship Acheron during the time of the Napoleonic wars. 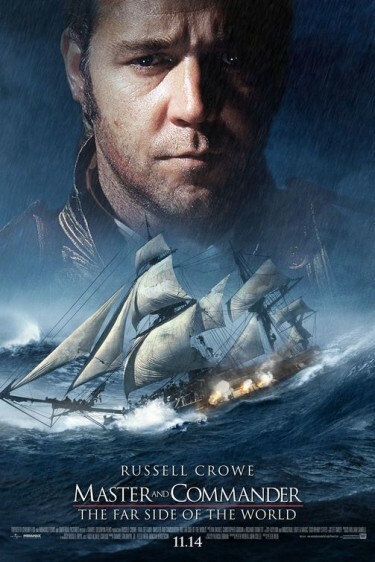 This movie captures the era when ships sailed the seas, and gives us a glimpse of life on board, raging storms, incredible naval battles and the age of discovery that was coming. It is a suspenseful tale of “cat and mouse,” and also the story of friendship, honor and sacrifice. 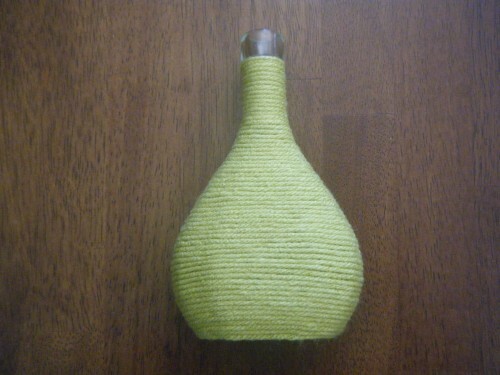 Ever since I made the yarn egg, I’ve been dying to wrap more things in yarn. I love this! 1. 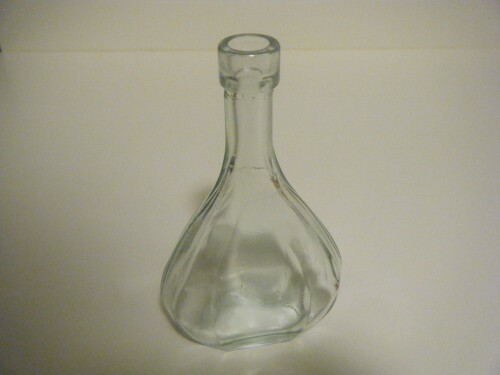 Wash and dry your glass vase. 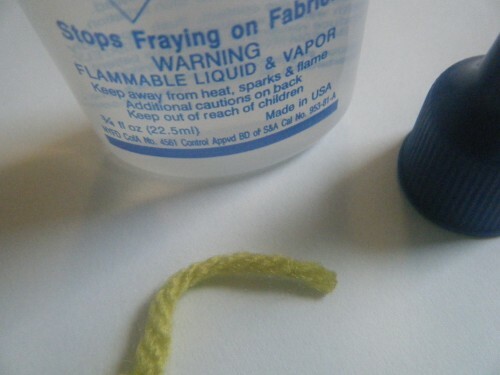 Apply Fray Check to the end of your yarn strand for a neat start. 2. 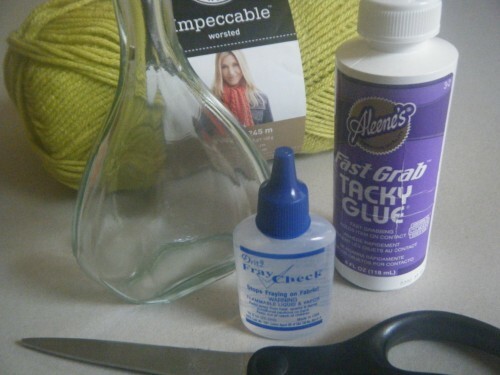 Apply a line of glue and start wrapping the vase. I used a fast tack glue. 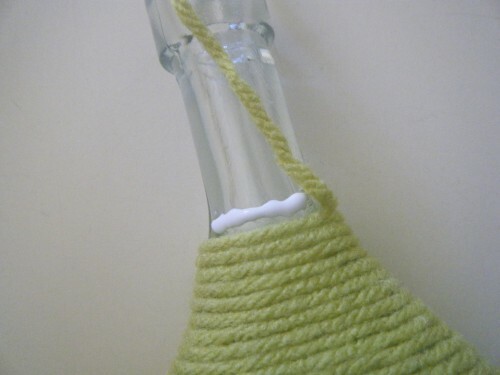 If you experience shifting, you may want to wrap a few rows around the vase and allow them to dry before you finish wrapping the vase. 3. 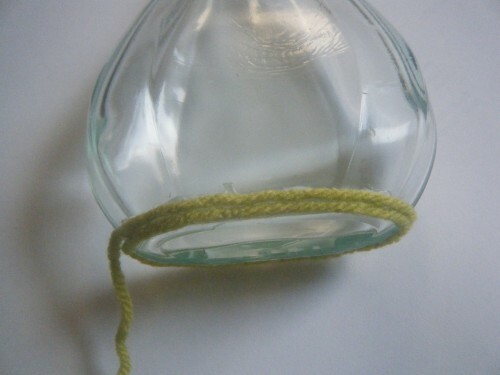 Continue to apply a line of glue and wrap the yarn around the vase until finished. 4. Isn’t this adorable! 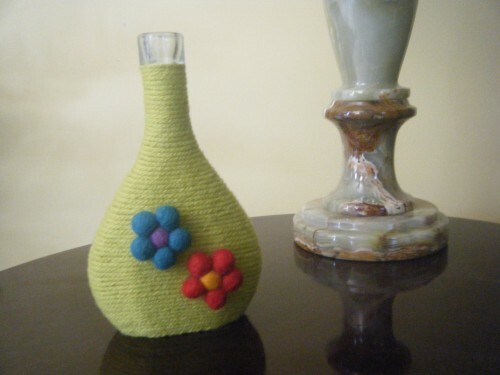 To finish my vase, I applied two felt flowers I purchased from Michaels. Thursday, May 7th was Casper’s 3rd Birthday! Casper’s racing name was Try N Ryan. He came to us with the “pet” name of Casper. It seemed to fit him, so we kept it. Actually, we’re very unoriginal when it comes to naming our pets. Casper was fostered by my friend Amy and her husband. 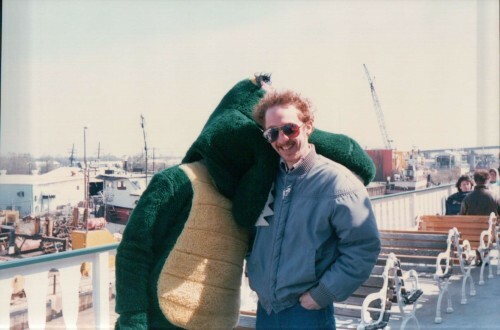 It was through Casper that we became friends. All I can say about my Caspie is that he’s the sweetest boy in the whole world. He’s a good boy and infinitely patient. He’s playful, does funny after-bath zoomies and has learned to manipulate his sister, Freedom, with passive-aggressive behavior. I was trying to think of something fun to do for Casper’s birthday. I didn’t want to get Casper toys since Freedom got toys for her birthday. 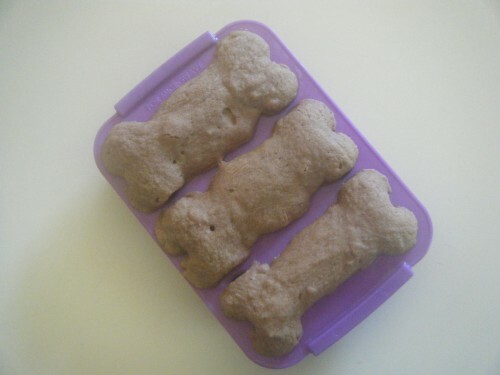 I first saw PetCakes by Lucky Paws on Kristin G.’s blog, Dogs Rock!! So I picked up a box. PetCakes are fun and easy. 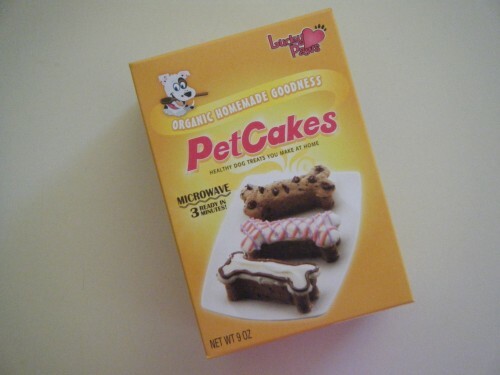 I purchased the PetCakes Starter Kit. You get a PupCakes Pan and two packets of mix. 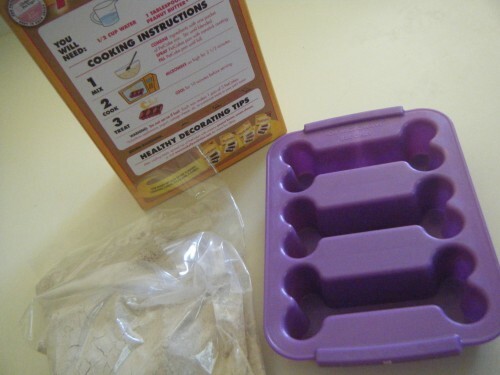 To make the PetCakes, you mix one of the packets with 1/ 2 cup of water and 1 Tbsp. of peanut butter. Spray the PupCakes pan with nonstick coating and fill the pan until full. 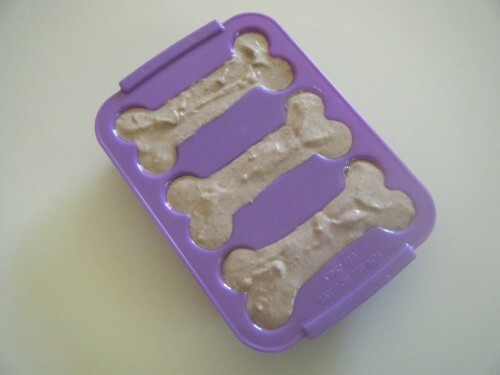 Microwave for 2-1/2 minutes and after they have cooled…Voila! Reviews were mixed. Casper took his, dropped it, sniffed, then “sat” so that I would give him a different treat. Freedom gobbled hers up and then while Casper was sitting, nabbed his and ate it before I could grab it back OR take a picture. So, Freedom says, “Yay,” and Casper says, “Nay.” I am going to make them again and experiment a little. We topped off the day with a doggie ice cream treat. Happy Birthday, Casper! When I did my first “4 Faves – Friends Version,” Bunny, from Tales and Tails, suggested that Freedom and Casper should do their 4 Faves. I thought that was a great idea, and when I told Freedom and Casper, they were very excited and said they could even agree on their 4 favorite things. I should have suspected something was amiss. Well, I can’t go back on my promise so here they are, Freedom and Casper’s 4 Faves (descriptions provided by Freedom and Casper). Best way to get to know someone new or make sure an old friend is really who they say they are. Butts don’t lie. 2 Greyhounds + 10 Beds = Not Enough Beds! You can never have too many of these things. We like them best all over the house. We’re both “fluffers,” so we prefer a bed that lends itself to fluffing. 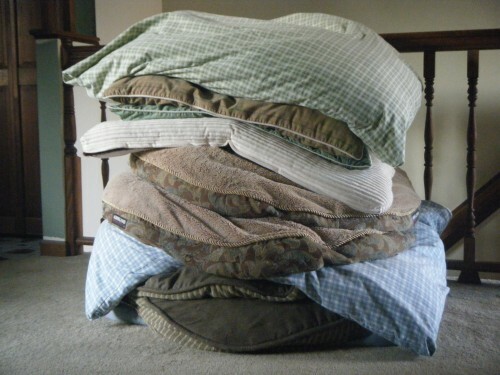 Like beds, you can never have too many of these. Also like the beds, we like them best all over the house. We feel it makes our mommy feel less sad about her daughter being grown-up if we make it look like she’s living with a couple toddlers. See that basket way down at the bottom of the picture? 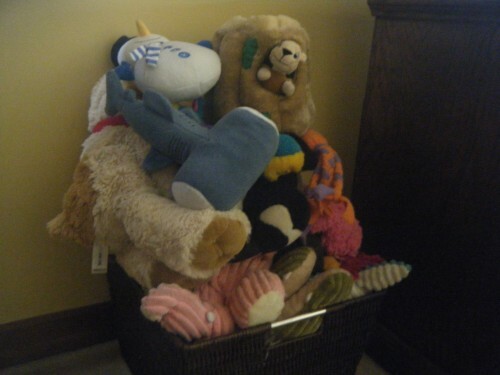 That was suppose to hold all our toys…yeah, right! 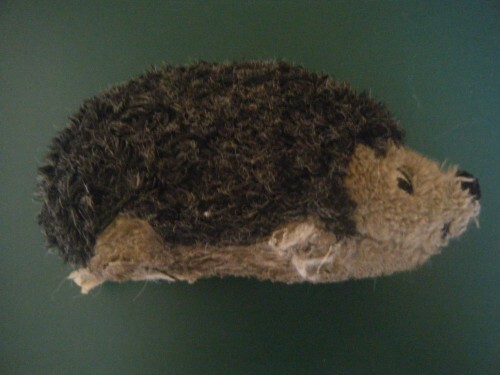 Freedom’s favorite hedgehog. It’s even grosser than it looks. Don’t let their looks fool you. The friendly looking one on the left can pose a few problems because she gets ideas that she’s in charge of us. The mean looking one on the right…total slave…does EVERYTHING we want. Alright then…that’s Freedom and Casper’s 4 favorite things. Next time, I’m going to add a few stipulations. SEE, we told you she’s the bossy one! The month of August will be “4 Faves – Friends Version.” What are your favorite things? Tell me about them during the month of July and one (or more) of your picks may be chosen as a “favorite” in August. You can let me know what you like in one of three ways…post a comment, email me (whatremainsnow@gmail.com), or let me know on the What Remains Now Facebook page (either by commenting or writing on my wall). Tell me what the item is and why you like it. Want to see what “4 Faves – Friends Version” looks like? Check out this post from May.